Take a cruise on the Geirangerfjord. Fjord Travel Norway offers a wide range of fjord trips and cruise packages for individual travel. Due to Norway’s topography with mountain crossings and fjords cutting into the country, it can be difficult for other than locals to plan and put together a proper itinerary to visit the highlights. Fjord Travel Norway knows where to go, what to see, and how to get around. They have put together fixed packages that include transport and accommodation. Travel Norway in an easy and eco-friendly way. As far as possible, all trips use public transport like trains, boats/ferries, and buses. Because of the distance between Oslo and Tromsø and Kirkenes in Arctic Norway, some trips require domestic flights as well. Find more information about Fjord Travel Norway’s tours and cruises. With local knowledge and personal service, Fjord Travel Norway wants to show and share the beauty of Norway during all seasons. Read more about winter tours and cruises. In the summer season, you can experience Norway’s beautiful fjords, tall mountains, and picturesque valleys through scenic train journeys and fjord cruises with Fjord Travel Norway’s fjord trip packages. Find more information about summer fjord trips in Norway. One of Fjord Travel Norway’s most popular tours starts and ends in Oslo. This round trip includes the Bergen Railway from Oslo to Myrdal, the famous Flåm Railway from Myrdal to Flåm, one night in the small village of Flåm, a fjord cruise on the Aurlandsfjord and the UNESCO Nærøyfjord, a bus ride down the steep Stalheimskleiva hairpin road, two nights in the beautiful coastal town of Bergen, two nights in the art nouveau town of Ålesund, and a fjord cruise on the Geirangerfjord. Read more about Geirangerfjord and Norway in a Nutshell®. 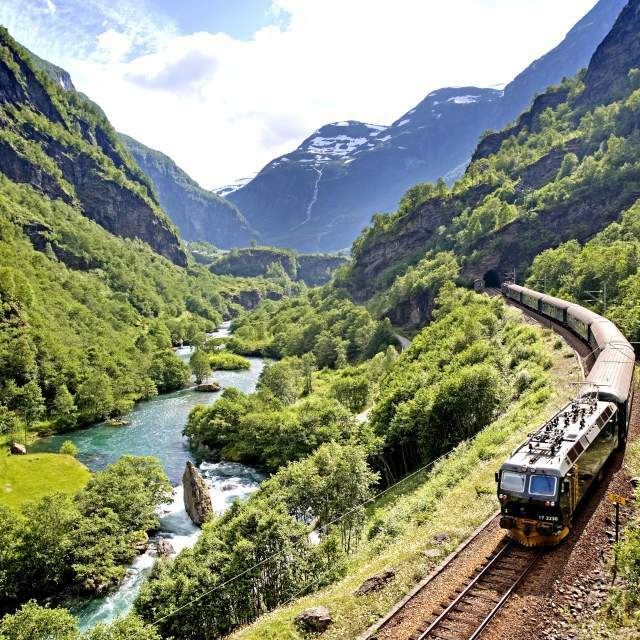 On this round trip, you’ll take the scenic Bergen Railway and the famous Flåm Railway as well as fjord cruises on the Sognefjord and Aurlandsfjord. A relaxing two-night stay in the beautifully located fjord village of Balestrand is included, as well as overnight stays in Oslo and Bergen. Read more about Sognefjord cruise and Balestrand village. A short fjord cruise package with two nights in Bergen and two nights in Oslo. This trip includes a cruise on the Sognefjord and the picturesque Aurlandsfjord, a ride with the famous Flåm Railway and the scenic Bergen Railway, and a cruise on the Oslofjord. Find more information about Oslo, Bergen, Flåm Railway and Sognefjord. 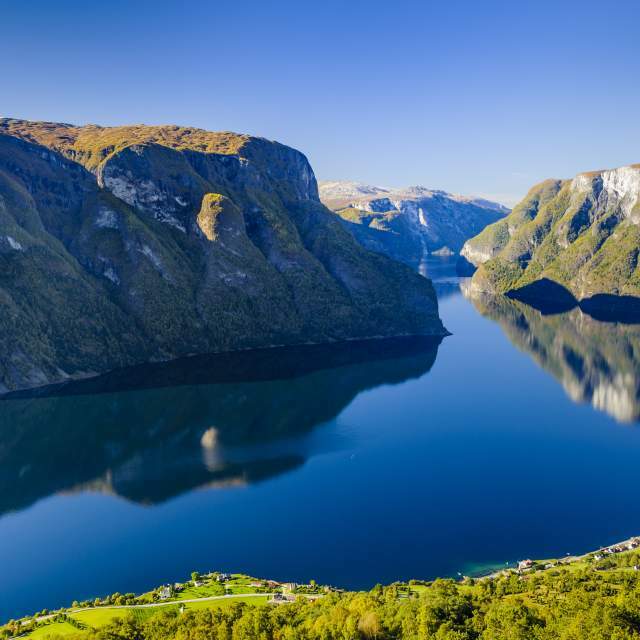 This amazing round trip from Oslo includes the scenic Bergen Railway and the famous Flåm Railway, a fjord cruise on the Aurlandsfjord and the UNESCO Nærøyfjord, a bus ride down the steep Stalheimskleiva hairpin road, and the Bergen Railway back to Oslo. Overnight stays in the small village of Flåm, the coastal town of Bergen, and Oslo. Read more about Norway in a Nutshell®. Fjord Travel Norway’s cruise packages feature the very best of the Norwegian coastal landscape. Enjoy the scenery and the fjords during the summer season on one of the authentic Hurtigruten ships. 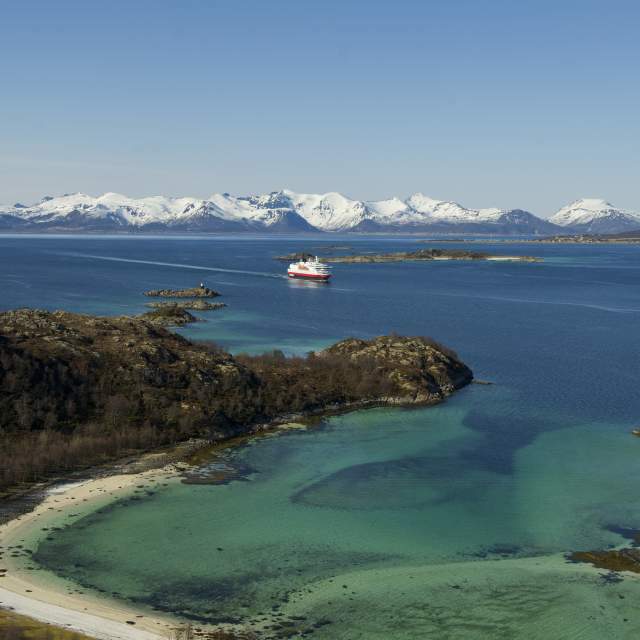 The coastal express Hurtigruten has been offering cruises along the Norwegian coast for more than 100 years. The ships carry enthusiastic cruise passengers from all over the world, including many Norwegians that live locally as well as cargo for the Arctic towns and tiny fishing settlements en route. An exclusive tour including all the main sights in Oslo, the famous Flåm Railway, cruises on the picturesque Aurlandsfjord and the Sognefjord, a stay in the fjord village of Balestrand, and a six-night Hurtigruten cruise from Bergen to Kirkenes. Read more about the Exclusive Grand Tour of Norway. This trip starts and ends in Oslo and includes highlights of the Norwegian coast from north to south. Take the coastal express Hurtigruten from Kirkenes to Bergen with excursions to the North Cape and the Vesterålen islands, experience the narrow Trollfjord, the Lofoten Islands, the Helgeland coast, the historic town of Trondheim, the scenery of Fjord Norway, and a Lysefjord cruise with a view to the famous Preikestolen (The Pulpit Rock). Overnight stays in Oslo, the Arctic town of Kirkenes, the coastal town of Bergen, and the city of Stavanger. 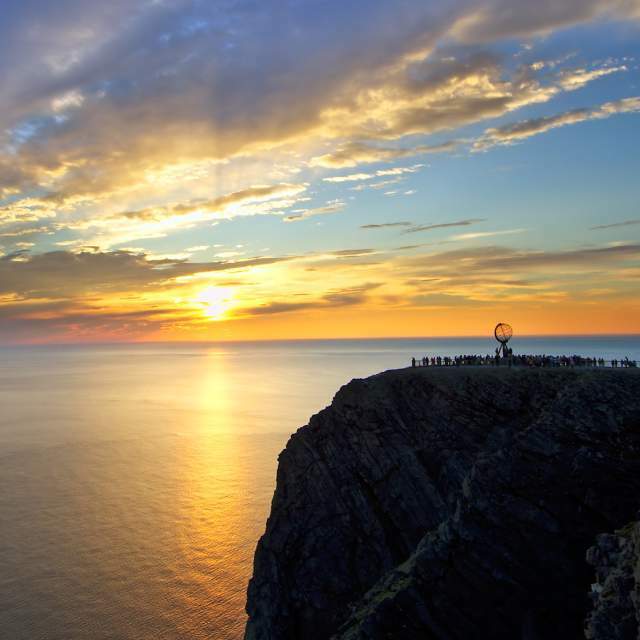 Read more about Highlights of the Norwegian Coast. Enjoy the highlights on this round trip that includes Oslo, the Arctic town of Tromsø, a four-night cruise with Hurtigruten from Tromsø to Bergen past Vesterålen, the narrow Trollfjord, the Lofoten Islands, the Helgeland coast, the historic town of Trondheim, and The Atlantic Road. Enjoy the scenery of Fjord Norway, the charming coastal town of Bergen, the steep Stalheimskleiva hairpin road, a fjord cruise on the narrow UNESCO Nærøyfjord and the Aurandsfjord, the famous Flåm Railway, and the scenic Bergen Railway from Myrdal back to Oslo. Read more about Arctic Fjords and Coastal Highlights. Explore the Norwegian fjords and the west coast on this round trip. From Oslo, enjoy a scenic journey on the Dovre Railway across the Dovrefjell mountain range. Spend the night in the historic town of Trondheim and continue with Hurtigruten to Bergen, where you will stay for two nights. See the beautiful Hardangerfjord, go on a fjord cruise on the Sognefjord and the Aurlandsfjord, and travel with the Flåm Railway and the Bergen Railway from Myrdal to Geilo. After one night in Geilo, you continue back to Oslo on the Bergen Railway. Read more about Norwegian Fjords and Western Coast. In the winter season, you can enjoy several adventurous northern lights cruises or a traditional Christmas cruise. Fjord Travel Norway offers a wide range of adventurous northern lights breaks and northern lights cruise packages for individual travel.